One of the most boring topics in development economics is the foreign currency exchange rate (with the related issue of monetary aggregates arguably not far behind). But the implications are of great development interest. 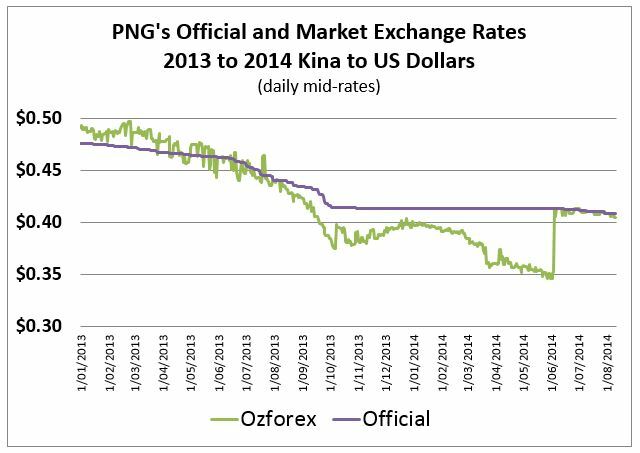 In June, there was a rather extraordinary change in PNG’s exchange rate policy. There was an announcement on 4 June, seemingly innocuous, that the trade in foreign exchange in the interbank market could only occur within a narrow band around the “official exchange rate”. This does sound rather boring and technical. However, the change was to lift the exchange rate by over 15 per cent overnight. Regression analysis by the World Bank on the latest PNG Household Income and Expenditure Survey indicates a move of this size could push 130,000 people living in households that grow coffee below the poverty line – as well as reducing the incomes of those already below the poverty line. Now this is sounding more important. This single technical decision could have a dramatic impact on rural poverty in PNG. More analysis of the distributional implications are mapped out below. But first, what actually happened to the exchange rate? The Bank of Papua New Guinea, PNG’s central bank, says the move is in response to a “market failure in the trade and transacting of foreign currency”. Prime Minister Peter O’Neill said it was necessary: “Like many countries around the world, we are able to manage the movements around the currency, so it gives confidence to the economy and businesses.” There were also concerns about profits being made by the commercial banks in foreign exchange trading. Traders say inflation worries and a lack of confidence in the Kina have combined to undermine the currency. Using a currency mid-rate can help move the discussion away from whether there was excessive profiteering from the size of margins between buy and sell rates. 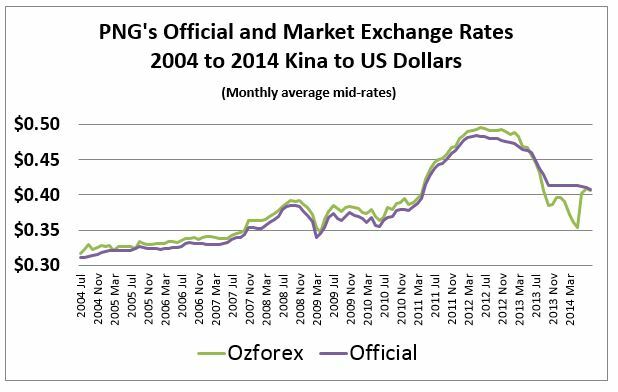 As shown in the graph below, the Kina to US dollar exchange mid-rate has moved considerably over the last 10 years. The “market” rate has traditionally been just slightly higher than the official rate – presumably reflecting some slight overall margin. However, in May last year, the market rate moved below the official rate. This additional detail is shown in the graph below. The reason for this is not clear – previously, the official rate seemed to respond to shifts in the market rate subject to some temporary market smoothing operations or concerns about inflation (yet inflation has been at moderate levels – around 5 per cent – over the last year). As expected, this gap started to run down PNG’s foreign exchange reserves – banks could buy foreign currency from the government at a cheaper rate than they could easily sell on the market. More specifically, by May 2014, a private bank could buy a single US dollar for K2.44 from the central bank, and then immediately sell the US dollar to an importer for K2.86 (these figures are just the other side of the exchange rate of a Kina being worth either $US0.41 or $US0.35 shown in the axes on the graph below). Of course, this type of arbitrage possibility was going to create problems. International reserves fell from $US3.7 billion in March 2013 to $US2.6 billion in July 2014. This happened despite certain restrictions on the market (such as limiting large forward contracts from late 2013). 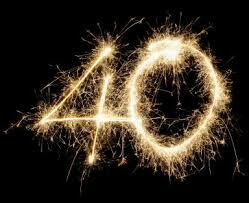 Following the 4 June announcement, the market mid-rate has had to return to the official rate. This has helped stem the fall in foreign exchange reserves (indeed, they increased slightly in July). But there are risks in setting the official rate if it is set higher than the balance of demand and supply in foreign currencies. If a mismatch between supply and demand cannot be sorted out through a change in price, the only alternative is to start controlling the release of foreign currency from reserves. Such “quantitative” restrictions have many risks. Ultimately, choices have to be made between which importers can get access to the US dollars (or other foreign currency) in exchange for Kina. The unsuccessful importers will try and get around these controls, and if the policy was to continue there are risks of informal exchange rate markets starting to operate outside of PNG. These would then lessen the effectiveness of monetary policy levers in PNG as instruments for helping maintain macro-economic stability. The most significant short-term impacts of this decision are the distributional consequences. These can be hard to specifically quantify given lack of data and the way that markets work (for example, timing delays before wholesalers pass on exchange rate changes). However, the impacts will be large. To be conservative, let us assume that the price impact was only 15 per cent – although market analysts talk of the movement being between 17 and 22 per cent (depends if buy or sell rates used). This technical June announcement was equivalent to introducing a 15 per cent tax on all exporters – a bad news story for the estimated 2.1 million, mostly rural, Papua New Guineans living in households that grow coffee (with 45 to 60 per cent of household income estimated to come from coffee) and the 0.9 million who live in households growing cocoa. The World Bank analysis (Box 2 on page 9) I mentioned earlier focused on how a depreciation of the Kina could benefit rural households. However, the same analysis shows that a 13.7 per cent decline in Kina terms in coffee prices (around the impact of the 15 per cent Kina appreciation) could have pushed an additional 130,000 people living in households growing coffee below the poverty line. Indeed, information from PNG’s Coffee Industry Corporation shows prices that farmers could get when they sold their coffee at the factory door in Goroka dropped from K6.00 per kilo on 2 June (mid-rate of Class 1 Arabica) to K4.60 per kilo on 10 June. A bad week indeed for rural households, as on top of the 15 per cent hit from the shift in the exchange rate, world prices for coffee also dropped by around 5 per cent that week. Of course world prices fluctuate – but the exchange rate decision means farmers will be 15 per cent worse off at any world price. Since most of PNG’s poor, and especially the most vulnerable households, live in rural areas, this decline in income may be significantly harming welfare. Ironically, while the change impacts on all exporters in the same way as a 15 per cent export tax, the government doesn’t actually get to collect any revenue to help fund health or education. So who potentially gains from such a policy? In short, importers. The exchange rate change is equivalent to providing a 15 per cent subsidy on all imports. A 15 per cent drop in the price of imports such as rice is good for consumers. Urban consumers are likely to benefit the most (as imports are a greater share of their food and other consumption). Wholesale importers should also see an expansion in their businesses. If one had a government contract, for example to build some infrastructure, then the change would mean that the imported products such as cement and steel would be cheaper than if they were paying market rates the day before the announcement policy change. As imports are now cheaper, this helps reduce inflationary pressures. Others with potential to gain are those that are looking at investing outside of PNG. So, for example, it is now cheaper in Kina terms to buy property in Australia or Singapore. The flipside of this is that it is more expensive to invest into PNG and this may deter investments. In short, this policy will have major distributional implications if it is continued. Most exporters lose – so mainly the rural poor. 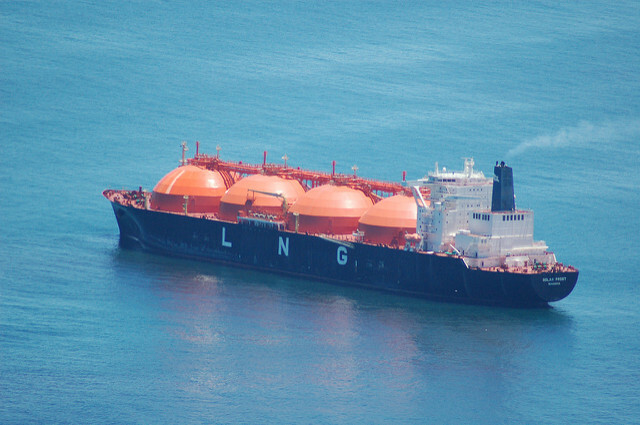 Importers gain – so urban consumers and government contractors. It is good for encouraging investment out of the country, and problematic for encouraging investment into PNG. And a 15 per cent variation can indeed be the difference between whether a new investment is profitable or not. The above analysis has focused on the distributional consequences of the 4 June decision to lift the market foreign exchange rate by over 15 per cent. A future article will discuss some of the wider implications of what appears to be a major change in exchange rate policy. 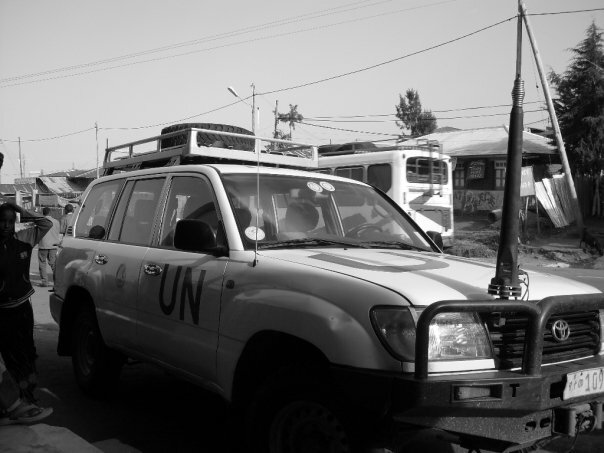 Paul Flanagan is a Visiting Fellow at the Development Policy Centre. He has recently left the Australian Treasury as Chief Advisor, Foreign Investment and Trade Policy Division. Earlier in his career, he spent 17 years in AusAID in a range of policy, budget, sectoral and country program roles. What will the Kina exchange rate be one year from now? Paul Flanagan has a longstanding interest in public policy issues in Australia, PNG and more broadly. 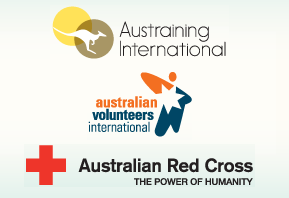 His 35-year public service career was evenly shared between Treasury/Finance and AusAID. He headed up Treasury’s International Finance and Development Division from 2008-2011 before being seconded to a senior advisor position in the PNG Treasury until August 2013. He is Director of Indo-Pacific Public Policy and Economics, a leading commentator on economic developments in PNG, and a frequent contributor to the Devpolicy Blog. Interesting article Paul and bang on the money for its impact on the commodity exporters who were being pumped up to increase production with a falling Kina (and at least for coffee growers rising prices due to Brazil’s drought), even the larger NCM and ABX miners have not been helped with this fiat revaluation. The BPNG maintains a Reference Rate BUT does NOT supply currency at the pegged rate. Every two weeks or so they may sell about K60m worth but this is paltry in comparison to the orders. The fact that the BPNG get on intervening at their reference rate is a significant driver as to the bank profitability in 2013 / 2014! They were advised to tender their intervention amount rather than just use their Reference Rate. govt’s intended infrastructure spend would have cost a LOT more at the pre-Jun 4 rates … and the LNG USD inflows will not start til end 2015. Fortunately the independent central bank’s policy intervention has reduced this budgetary risk. Appreciate the comments. Agree that the central bank limited the chance for arbitrage by constraining the amount of foreign exchange reserves available at the official rate to around K60 million every fortnight- otherwise PNG’s foreign reserves would have dropped much more quickly. The comment about the arbitrage possibility was aimed at highlighting the gap was unsustainable. As you mention, the better option would have been to tender the intervention. Your last para mentions the possible budgetary impacts of these changes. I considered including some reference to these in the article – but my sense was that they were unknown and possibly largely offsetting. So as you point out, the cost of the Government’s intended infrastructure spend would have been considerably more at the pre-June 4 rates. Likewise, the appreciation lowers the Kina cost of repaying international loans – including the loan to purchase the Government’s share in Oil Search. On the other side of the coin, tax revenues could fall because exporter incomes are lower and hence mineral tax and company tax collections are lower in Kina terms (many of the larger miners operate their accounts in US dollars). My sense was that there were a range of positive and negative effects on the budget from the change and it was hard to determine the overall impact. At the same time, there may be other budgetary risks if the change in policy has discouraged foreign investment (and hence future tax revenues or the price of any asset sales) or increased the size of the sovereign risk (and hence costs) associated with any possible future external borrowings. Once again, appreciate the comments.